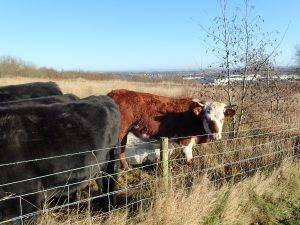 Apedale sits on an elevated site with panoramic views of the surrounding towns of Newcastle and the City of Stoke-on-Trent beyond. It’s Heritage Centre (from the Loomer Road entrance) gives an insight into our industrial past – with its drift mine available for occasional tours, sitting comfortably alongside the developing light steam railway. A good park for learning about our coal mining and industrial heritage. It’s a shame the Energy Station didn’t remain open, as this offered a nice contrast of modern day sustainable energy to historical fossil fuels. 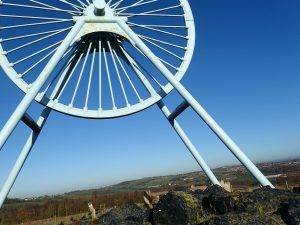 From the pit wheel monument there are great panoramic views over the local towns and beyond. 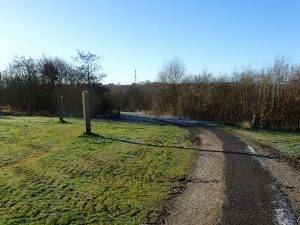 Some of the footpaths are steep, so might be challenging for the less mobile.